Conductive Neck Brace + TENS Unit = Neck Pain Relief! 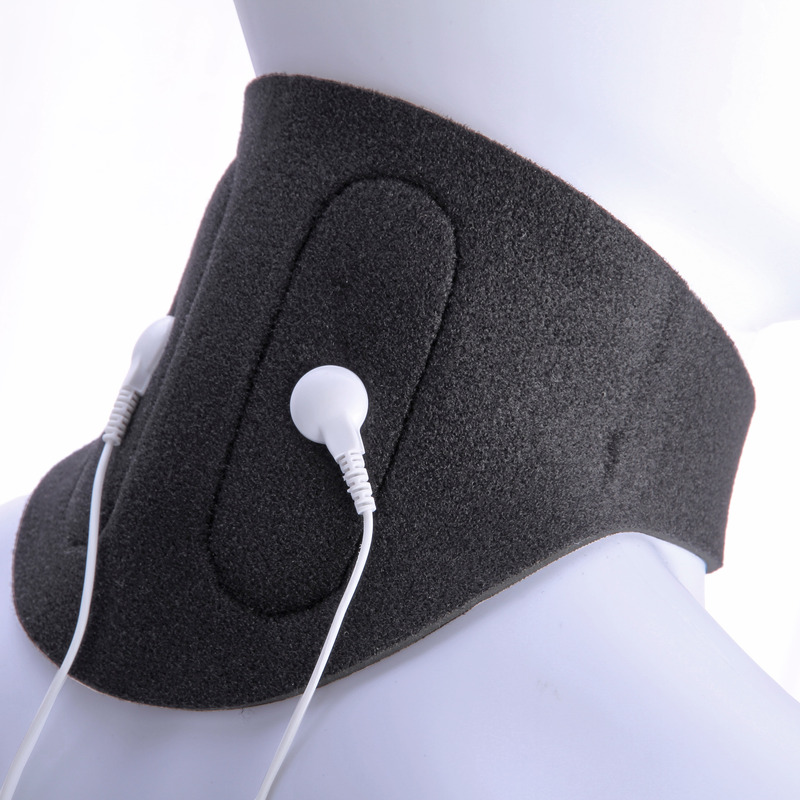 This premium BodyStim Conductive Neck Garment is intended for patients using an electrotherapy treatment, such as with a TENS unit, for cervical neck pain, as an easier and more durable substitute for traditional self-adhesive electrode pads. For many patients struggling with acute or chronic neck pain, especially along the cervical spine, it may be more physically demanding to reach around and comfortably apply disposable electrodes around the pain area, so this conductive neck brace allows easier positioning, without requiring assistance from another person. Furthermore, intended for long term use with a patented conductive mesh electrode material stitched into the brace itself, you no longer have to keep on purchasing replacement electrodes over and over, which only allow a finite number of uses before drying up. This means more money in your pocket over time, with effective pain relief and greater comfort in your daily life. Replaces the use of disposable, self-adhesive neurostimulation electrodes for treating neck pain. 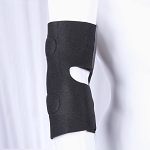 Made from a comfortable and flexible, light-weight neoprene material. Superior conductive mesh electrode stitching for long-term care. Non-abrasive hook-and-loop fastening secure and comfortable placement along the cervical spine. Includes 2x detachable snap adapters for lead wire connectivity. Industry-standard 2mm female pin-style connection for lead wires to plug into. Compatible with most electrotherapy devices. Contact your doctor in the event of developing a skin rash. DO NOT stimulate while operating heavy machinery, including a vehicle. DO NOT use if you have a pacemaker installed. DO NOT use the garment on any part of the body for which it was not intended. Conductive Garments should be used only with suitable electrical sources specifically designed and approved for medical electrostimulation (most commonly used with a portable TENS unit). Remove any and all jewelry from treatment area. Thoroughly cleanse area with soap and water. Ensuring electrotherapy unit is turned off, insert lead wire pins into the garment's snap connectors, making sure no metal is visible as well. Moisten the mesh electrode material with Conductive Spray (available as an option above) or water. Do not soak. Fit the garment to the treatment area as instructed by your prescribing physician, ensuring the garment is making adequate contact with the area you are treating. Connect the lead wires to the electrotherapy device. Turn the unit on and adjust the treatment parameters according to your prescribing physician's recommendations. Air dry only - no heat. This products is providing tremendous relief to my husbands neck pain. He relies on it daily. good item, fast delivery, best seller!! !